Hey everyone. I am just back from a round-trip family safari with my wife and two small kids. We visited Etosha National Park in Namibia, and the Kgalagadi Transfrontier Park in South Africa. Both parks are arid and unique in their own way and we enjoyed the trip very much, despite there being some quiet days when it comes to game viewing. 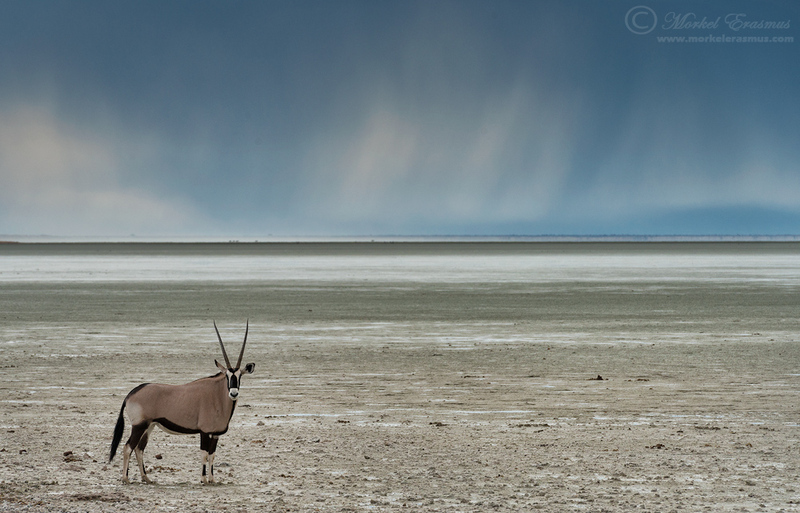 This photo was taken one afternoon as the storms were passing over the Etosha Pan. It's a classical composition and nothing unique, but I still like it. It shows a Gemsbok/Oryx alone on the vast Etosha Pan, with the nourishment of rain after a 2 year drought imminent. I am looking forward to sharing more of the images from this trip as time goes by!